The BeatForm Sequencer is what would happen if a radioactive spider and happy-go-lucky surfer dude collaborated on a really artsy documentary on Eastern Canadian flora. There’d be tons of hi res timelapse footage of flowers in bloom and it would be sweet. However sweet as that would be, let’s get to some basics. To really understand how the BeatForm Sequencer works, we need to answer this fundamental question: What’s a BeatForm? A BeatForm is a note or cluster of notes that all fit into the same space. Envision a ruler, or better yet, refer to the ruler below for an analogy. Notice how an eighth and two sixteenths take up the same amount of space? You can think of the 8th as the space within which all the smaller divisions fit: a 16th, a 24th, 32nd, and so on. In Liquid Rhythm, all BeatForms take up the space of an 8th of a bar. Then, what’s the BeatForm Sequencer? Basically it’s this: a regular sequencer loops one or two bars and you input notes one at a time. The BeatForm Sequencer takes that model to the next level. How? Each space can hold one note, or more than one note; like two notes, or three. Four even. 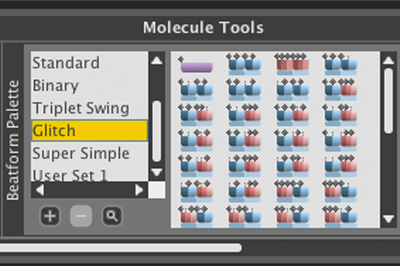 Each space in the sequencer can hold 6 notes. Do you make trap beats? Let’s use that as an example. So, you’re making a trap beat and you want to spice up your hi hats. 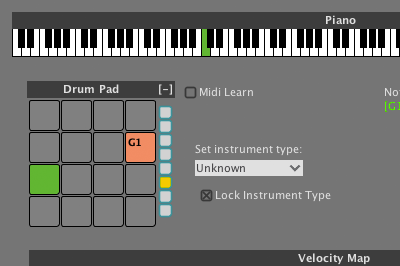 Use the BeatForm Sequencer to insert a triplet BeatForm anywhere in the bar (you always have 8 spaces to choose from). 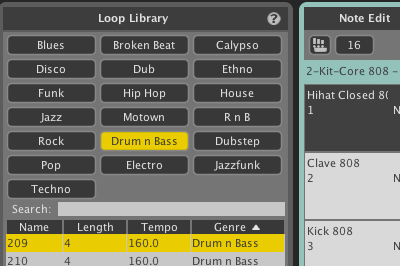 All it ever takes is one click in the BeatForm Sequencer to get a cluster of notes in any given space. Press the arrows to the left and get that entire bar instantly. 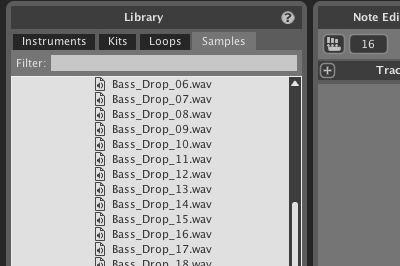 This list can be to create beats with lots of swing, straight-up syncopation, glitch, you’ll never find the results boring.